What's going on with American cheese? American cheese's best days may be behind it. The culprit? Millennials. Those in favor of American cheese will tell you that no "real" cheese melts quite as nicely over toast or a burger as this quintessential cheese product – and there's certainly truth to this claim. But the young, dissenting voices of our time say that it just isn't real cheese, which is also true. Love it or hate it, though, it's impossible to ignore what's happening to American cheese. At this point, the best thing for online culinary students who are on the fence about this once-beloved cheese product to do is know the facts, and make an informed decision about whether American cheese deserves a place on the menu. American cheese is made by adding ingredients including additional whey, milk proteins and emulsifying salts, according to Serious Eats. This process was invented in Switzerland as a way to reduce cheese waste, but was perfected by Norman Kraft in the 1920s. His processed cheese loaf became popular during this time. Shortly thereafter, Kraft released the Single, which was a staple in practically every American household by the 1920s. And that's largely been the case up until recently. 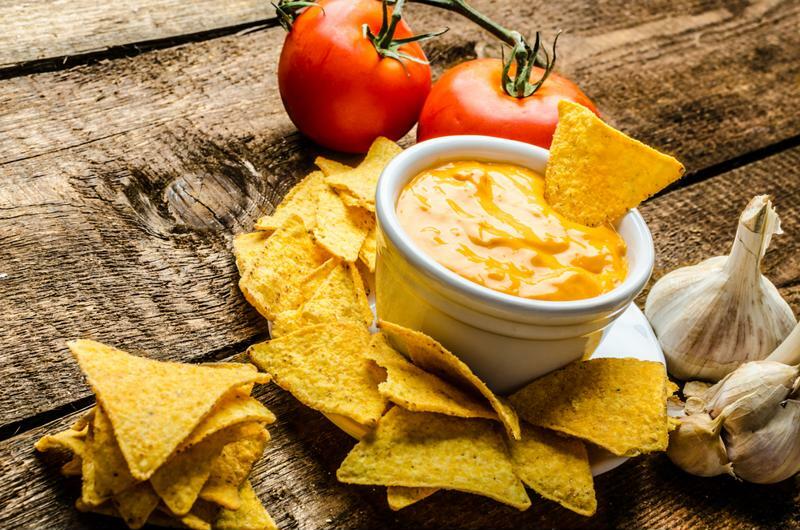 Processed cheese food is also the main ingredient in many cheese-dip products. We asked this existential question in an earlier blog post, and largely concluded that the answer is "no," but that doesn't mean American cheese lacks value. After all, all cheese is technically processed. Cheese is made by "heating, milking, culturing it with enzymes and bacteria, separating out the curds and the whey and then salting and forming the curds into [a] wheel or block." In other words, ingredients are added, and there is a process involved. Still, American cheese has taken on many monikers – cheese food, cheese product, pasteurized processed cheese – but never just "cheese." FDA regulations prohibit food manufacturers from marketing the product as such, mainly because the many emulsifiers, preservative and other added ingredients render something that is like cheese, but not the real deal. In this sense, American cheese defies tradition. As far its subjective popularity goes, the haters will tell you that the texture is rubbery or "plasticy", and that the flavor is nothing to write home about. Many modern lovers of American cheese point to the nostalgic value of a grilled cheese sandwich made from cheese product. Others rightly point out that American cheese has the perfect, gooey texture when melted over a classic hamburger, and that it complements the flavor of a beef patty without overpowering it. So what does the future hold for processed cheese? Millennials' desire for authenticity has disrupted the food market as a whole. As Bloomberg recently noted, this generation of eaters is "demanding nourishment from ingredients that are both recognizable and pronounceable." American cheese is the latest casualty in this movement. Processed cheese sales from brands such as Kraft and Velveeta are expected to drop by 1.6 percent this year. Bloomberg also pointed out that popular, burger-serving chains such as Wendy's and A&W are now offering alternatives to American cheese. There's no doubt that America is currently experiencing a love affair with artisanal cheeses. And really, that's a good thing – the dynamic flavors, textures and uses for fine traditional cheeses make them a true culinary piece de resistance. Nevertheless, it would be premature to say that processed cheese will altogether disappear. Its popularity will likely continue to decline, but you could just as easily argue that this is less about the demise of American cheese, and more about the resurgence of artisanal cheeses among young U.S. eaters. Processed cheese is likely here to stay in some form or another, but only time will tell to what extent.